The United States-Mexico border spans roughly 1,900 miles, and Texas contains 1,254 of those miles. To enhance the state’s border security, Texas officials say they need $1 billion to invest in law enforcement and equipment, which can include everything from new all-terrain vehicles to portable light towers. A new budget proposal by the Texas Department of Public Safety (DPS) states that they require upwards of $1 billion in order to keep up with a growing list of border security needs. “Really what it boils down to is, that we want to keep the state and the country safe,” Texas State Representative Oscar Longoria said. Longoria also stated that legislators in Austin will be considering a supplemental $300 million border security budget in an effort to keep DPS troopers along the border. In the last legislative session, Texas approved $800 million for DPS procedures, as well as a plan to add 250 more troopers to the 600 already stationed there. What Do Portable Light Towers Have To Do With Border Security? They say sunlight is the best disinfectant, and a growing number of law enforcement agencies are relying on equipment like solar light towers to illuminate parts of the United States-Mexico border. Portable light towers and solar towers are great for construction sites, but in situations like the one Texas is in, they could be extremely useful as an additional security measure on the border. “We need to see what we can do to make sure we keep with the investment but at the same time, if possible, save some funds,” Longoria said. For states looking to stretch limited funds, solar technology and LED lights offer a number of advantages. LED portable lights in particular are useful, as they cost less to run, cutting energy costs by as much as 80% in some cases. Not only that, but LED bulbs emit far less heat than traditional incandescent of fluorescent bulbs, saving troopers in more than one way in the hot Texas sun. Likewise, portable solar light towers are a practical choice for border states with an excess of sunlight but lack of funding. 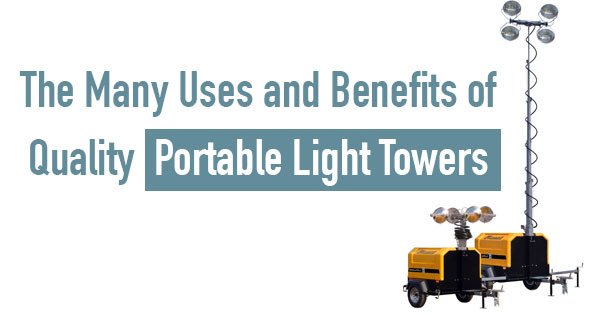 For all these reasons, portable light towers are being used to both cut costs and enhance border security operations. Certain sections of the border are particularly popular with smugglers and others looking to illegally cross the border. Often, state law enforcement agencies act as the eyes and ears for federal border patrol agents. In Texas, officials say the $1 billion budget is required to maintain that level of border security in the coming year. However, no decision has been made yet. Legislators plan to begin work in January and reach a decision regarding how much DPS will receive at the end of the legislative session next summer.